A Kitchen Crisis leaves baby Blue! 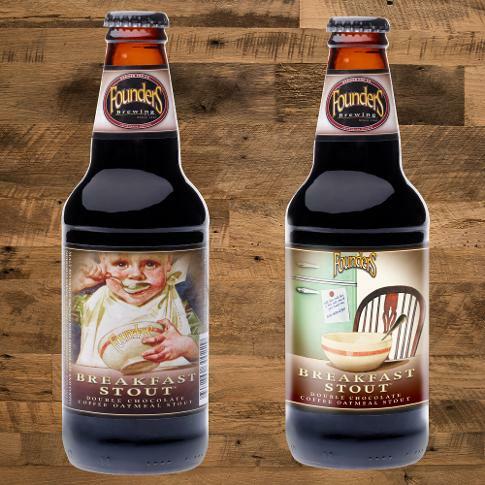 A classic example is Founders Breakfast Stout. Here the label beams out at the consumer - and what better image than a baby feeding from a bowl emblazoned with the Founders logo! The picture though lends its origins to a different era, and has overtones of the late 19th and early 20th century when companies extolled the virtues of a healthy lifestyle for both baby and infants through their products. Interestingly the label also touches on two further themes 'Breakfast' beers did indeed exist in the past and also alcohol was consumed by children - but not quite like the product we are presented with here! 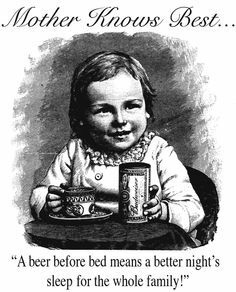 Budweiser of Missouri in America clearly believed it was the ideal drink for the whole family and supply that much needed sleep, actively promoting their beer as a wholesale sleep remedy! Whilst this may seem alien to us today it has often been argued that a more sensible exposure and approach to alcohol (be it beer or wine) in earlier years has led to less excess drinking habits in certain cultures. So is everyone happy the portrayal of an infant consuming his beery breakfast on a label - well apparently not. 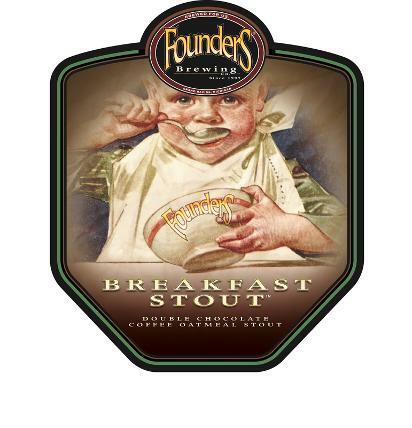 The Founders Breakfast Stout is a formidable beer but is by no means a new brand and was first introduced around ten years ago, but, ironically it is in its home state of Michigan that it has fallen foul of the law. It seems that the brand has never been registered with the state, and if it were it would fail the legislation. In August 2015 bottles had to be withdrawn from sale in the brewery shop and the brewery received a punitive fine of $300. In a characteristic show of defiance and inventiveness the brewery have turned the decision into a chance to laugh in the face of the law. The label for the Michigan state has the baby gone elsewhere and a note posted on the fridge saying 'left the crib for a bit call me if you need me 616-522-2720'. For all other states in which the beer is distributed the label remains the same as always - the baby beaming from the bottle. Michiganders it seems have more to fear than most...but the baby in now up for review, and maybe a reprieve. He may well be able to return to his seat at the table once more and dig deep with his spoon...time will tell. The baby has left the kitchen...the remodelled Founders label. 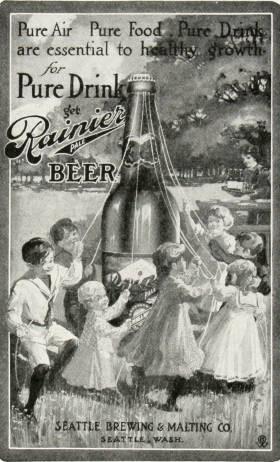 Rainer's beers also had health giving properties for the young.